PINEVILLE, La. — A Christian college in Louisiana has won its legal challenge against the abortion pill mandate in Obamacare as a federal court ruled that the mandate overly-burdened the school’s right to religious freedom. 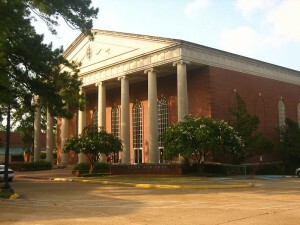 As previously reported, Louisiana College in Pineville, Louisiana, which is part of the Southern Baptist Convention, filed suit against the Obama administration in 2012, challenging the mandate as it pertained to drugs that the college considered to be abortifacients. The college was represented by Alliance Defending Freedom (ADF), who argued that the mandate violated the Religious Freedom Restoration Act (RFRA), as well as the First and Fifth Amendments to the United States Constitution. Louisiana College uses Guidestone for its insurance needs, which does not offer emergency contraceptive coverage in its plans. In coming to his conclusion, Drell analyzed other recent rulings surrounding the mandate and weighed the encumbrance that it would place upon the college in light of its Christian faith. “In sum, Plaintiff has shown … that the challenged regulations substantially burden its religious exercise, and Defendants have failed to show that the challenged regulations are the least restrictive means of advancing a compelling government interest,” he said. Following the ruling, ADF praised the decision, stating that the court reached the proper judgment. As previously reported, the U.S. Supreme Court ruled in a 5-4 decision in June that the federal government cannot force closely-held companies to obey regulations that violate the owners’ religious beliefs. The ruling was a victory for the Christian owners of Hobby Lobby, who objected to Obama’s abortion pill mandate on the basis of their faith and convictions. Hobby Lobby has been providing birth control coverage to employees for years, but took issue with four contraceptives that it considered to be abortifacients.